Did you know that we are about to get hit with a major snowstorm here in the Midwest? Yes. Lots of snow, high winds, crazy kind of weather. We've had two smaller storms but no snow days. We are due and I am ready. Hot chocolate and pancakes, lots of reading here we GO. Sadly we are not wusses though so it takes a major snow to cancel school. I checked out a few snow books to get me in the mood. Here are a few of my favorites from our public library. Hooray for SNOW! 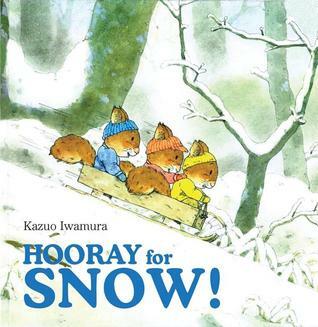 by Kazuo Iwamura: Sweet squirrel family learns to play in the snow altogether. Lovely illustrations. 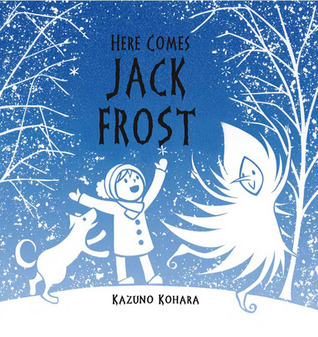 Here comes Jack Frost by Kazuno Kohara: A young boy, feeling blue during winter, has a chance meeting with Jack Frost and makes a new friend to play with all winter long until Spring begins to sprout. Lovely woodcut illustrations. 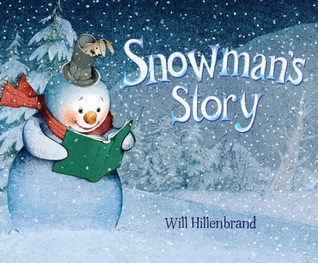 Snowman's Story by Will Hillenbrand: Sweet wordless picture book with forest animals and a snowman with a treasured book sharing the love of reading. I love the Bear and Mole series by Hillenbrand also so no surprise that this one is a hit as well. 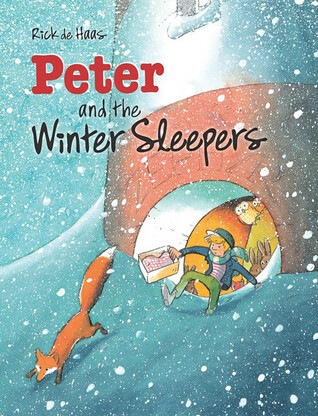 Peter and the Winter Sleepers by Rick de Haas: Peter lives in a lighthouse with his grandmother and his dog Leo. During a particularly snowy week the lighthouse becomes a makeshift home for many forest animals! Peter and his grandmother welcome a freezing rabbit, an owl, birds, bats, a squirrel family, and finally one lone, cold fox. The house is starting to smell, there are droppings everywhere but worse yet they think fox might have eaten Gull. My teacher brain says this book is great for empathy, grit, kindness, and problem-solving. 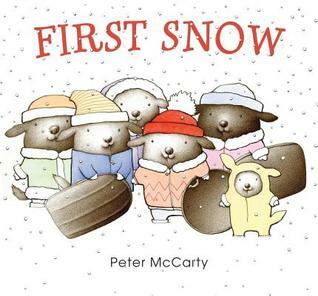 First Snow by Peter McCarty: I love Peter's work! Pedro comes to visit his bunny cousins and snow arrives the very next day. Pedro doesn't like the cold so he's unhappy to see his first snow. Poor Pedro complains as all the neighborhood bunnies frolic in the snow but, of course, he sleds down a big hill and loves it. No more complaining! Lovely illustrations. Cheers to a snow day. Our traditions include hot chocolate and chocolate chip pancakes, Gilmore Girls, reading, and lots of cuddling under big blankets. I'm ready like I said. The week after Christmas we spent time at my brother's outside Minneapolis. It was blissful because I was able to sit and relax, chatting, sipping, chatting, and reading while my brother cooked a scrumptious meal for all of us. During the holiday break I did most of the preparing and cooking while others relaxed so this was a great change of pace for me. Also he is a fantastic cook. 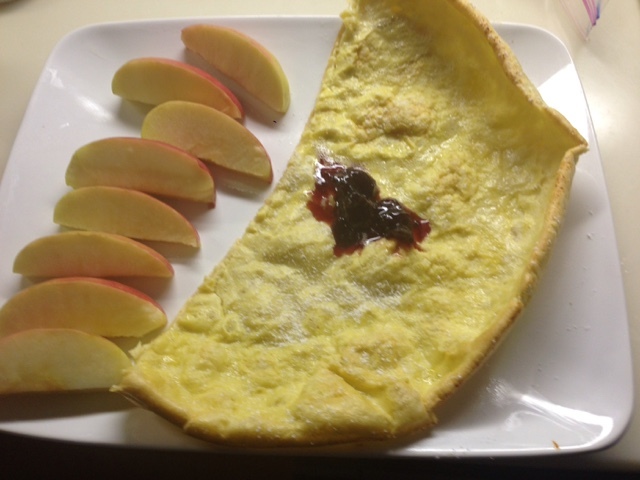 My sister-in-law is no slouch either; she prepared a quiche and a German pancake for breakfast, starting our day off in a tasteful way. Getting back into the groove of school this week and the freezing cold weather I started our week with soup. Of course. 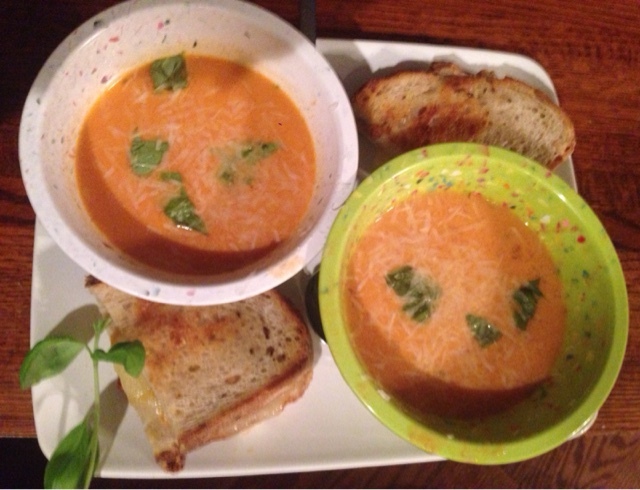 Tomato soup and grilled cheese. It was delicious. Heat olive oil over medium-low heat in a dutch oven or large pot. Once hot, add onions and season generously with Kosher salt. Cook the onions, stirring occasionally, until soft and starting to turn golden brown, about 15 minutes. Add the garlic and cook for 1 more minute, stirring to avoid burning the garlic. Stir in the tomatoes and chicken stock. Season generously with Kosher salt and freshly ground black pepper. I like to use about ½ tablespoon of black pepper, which gives a little kick to the soup. Bring the soup to a boil, then lower heat to maintain a simmer for at least 15 minutes. You can feel free to leave it longer if you forget about it. I have. Purée mixture using an immersion blender or carefully transfer soup to a blender. If using a blender, return mixture to the pot. Stir in the cream and basil and let simmer for at least 15 minutes, although I like to leave it for a bit longer so it can reduce down to a thicker consistency. Serve immediately, topped with freshly grated Parmesan cheese (I highly recommend using Parmigiano-Reggiano for its superior quality), a little sprinkle of black pepper, and a chiffonade of basil. We had some thick sourdough bread leftover from Christmas and it made perfect grilled cheese with Brie and Muenster mixed and melted between fat slabs of bread. I poured Groovy Girl's portions of soup through a strainer because even though I used my immersion blender it still had diced onions and I knew she would "freak" so to speak. She loved it. We had it for several meals and I had enough to take for two lunches at school. I also created a tofu stir-fry with quartered brussels sprouts, broccoli, cauliflower, pea pods, turmeric, a little curry sauce, and coconut milk. Instead of rice I used Israeli couscous. Groovy Girl ate two helpings. She had the day off today and because our week has been a little busy; I had two nights of meetings in between dance classes so I decided to jump in my freezing cold car and head home for lunch to dine just with her. I prepared German pancake mix and left it in the fridge in a pint jar before I headed out for school while everyone else was still sleeping. Before I left school at noon I asked her to turn the oven on so it would be nice and hot when I walked through the door. Before I even took my coat off I scraped a large pat of butter into my cast iron Lodge skillet and stuck it in the hot oven. When the butter was melted and browning I pulled the pan out and poured the pancake mix in and put it back in the oven for 15 minutes. We took it out, lifted it out of the pan, and ate it all up with jam, syrup, and powdered sugar. It was delicious. Memories made. It was a great cook week here. Even in the freezing cold temps we survive. How about you? I love GoodReads. I don't know how any true reader lives without it. Even though I keep a paper journal of what I've read it is such a convenience to click into my GR's app to look up a book while conversing; while others rack their brains for a title I can easily go back and look the title up for reference. Here are my statistics for 2015. I read 55 books and 18,541 pages. The shortest book was Honey by Sarah Weeks-a sweet little tale and my longest title was written by the indomitable George R.R. Martin, Game of Thrones which is also the "most popular title". If given the choice I'd rather read my least popular title, Summer Cocktails, as it was a lot more entertaining! Grasshopper Jungle by Andrew Smith; Most memorable and quirky tale of an future world transformed by oversized people-eating grasshoppers.Two main characters were hysterical. Young adult and not for everyone. Read my official review here. A hundred pieces of me by Lucy Dillon: A telling tale of life and what we really want out of-a bunch of stuff or true experiences with those we love. Pairs well with The Life-changing magic of tidying up by Marie Kondo. Read about this book here, A hundred pieces of me, where I share my reading retreat. All the light we cannot see by Anthony Doerr; Brilliant look at WWII from many angles showing even in the ugliest of wars that survival is part of our human spirit. 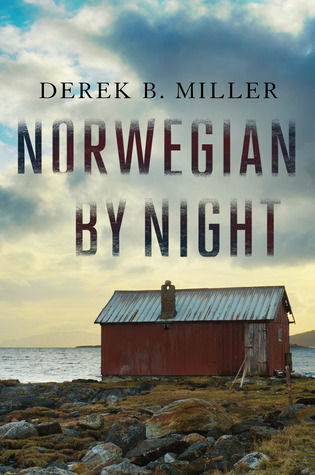 Beautiful writing and I never wrote a review for it. Shame on me. If you haven't had a chance to read it order it now using your xmas gift cards. Americanah by Chimamanda Ngozi Adichie; I loved this book-it opened a can of worms about race in a detailed and interesting story. I thought I knew a lot about race, my friends are a variety pack of colors, yet this showed me my thought process was often skewed in trying to be "color-blind". I realize that my view is not the major problem with race in this country, I know, and yet I want to be standing on the far right of good. Give this book a try-don't be afraid of the length-it reads fast. Brown Girl Dreaming by Jacqueline Woodson; This eloquent book made me cry and read many parts aloud to my husband/Groovy Girl as we drove cross country this summer. I'm a fan of Woodson's and hearing her story in all its truths was a learning experience. Paper Things by Jennifer Richard Jacobson; Homelessness is the problem in this excellent YA novel. A brother and sister strike out on their own because the older sibling can't get along with their guardian. He feels obligated to take care of his sister and works to keep them together. Everyday is a struggle as they seek shelter and food but for the young girl it is difficult to make it to school in clean clothes with homework finished. Just thinking about these characters makes me think I might reread this story again. Sexual overtones keep me from reading it with my 6th grade book club. Read my review here of Paper Things. Loot by Jude Watson; This book is a unique mystery with great characters. They work to solve problems on their own not trusting the adults around them. 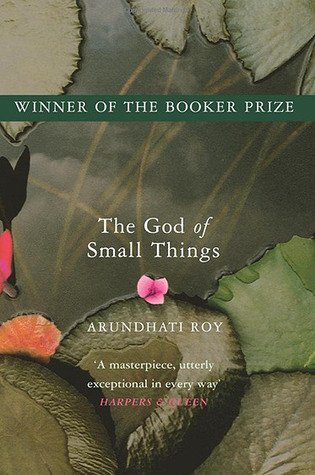 I recommend this one to students and each one is surprised by how good the story is. The Storyteller by Jodi Piccoult; Amazing modern tale about Sage Singer, a baker with a messy personal life, that twists and turns telling us through flashbacks about another story during WWII. Holocaust stories often make me ill as you read about concentration camp horrors and this one made me angry, sad, yet often joyful. 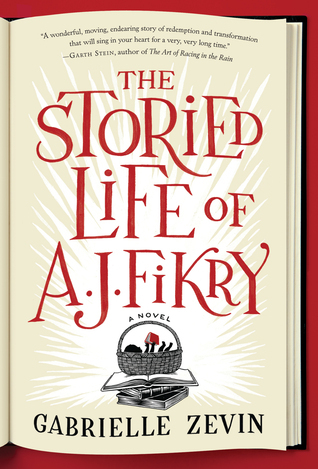 The story is well-told and I thought very different than the good but frequently formulaic Picoult tales. I mention it in this summer post. and 3 young adult books with one common thread, e. lockhart. It was my year to connect with her books. 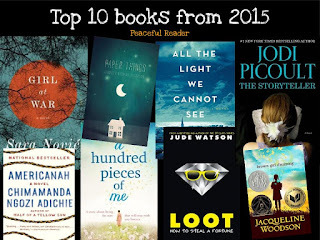 I enjoyed We were liars, Dramarama, and The Disreputable history of Frankie Landau Banks. All good solid stories.